Mentor Education's nationally recognised Diploma of Leadership and Management (BSB51915) course delivers individuals the skills and knowledge to lead and manage organisations. The Diploma of Leadership and Management qualification is ideal for candidates seeking the skills and knowledge to lead and manage individuals, teams and organisations. The course is suited to individuals currently in or looking to undertake leadership and management roles and provides a succinct overview of core business fundamentals that are key to business operations. Seeking to complete a course providing a succinct pathway into a Master of Business Administration qualification. The Diploma of Leadership and Management qualification accommodates both individuals with no formal training qualifications and those seeking an entry point for transition into further education. This qualification accommodates both individuals with no formal training qualifications and/or those seeking an entry point for transition into further education. 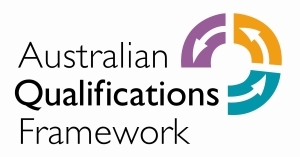 Mentor Education's Diploma of Leadership and Management (BSB51915) qualification is a nationally recognised qualification, complying with the AQF standard and ASQA standards for Registered Training Organisations. With relevant work experience and on completion of this course, students may be granted entry into either a Master of Business Administration or Bachelor of Business qualification***. This qualification caters to individuals in roles (or aspiring to be in roles) such as Supervisors, Team Leaders, Project Managers and Middle Level Managers, where there is an objective to gain practical leadership and management knowledge that can be applied as part of their job function. This qualification has been designed to accommodate both individuals with no formal training qualifications and those seeking an entry point for transition into further education. The course is suited to both experienced managers and aspiring leaders seeking to gain further leadership and management knowledge. This is an open entry course with no pre-requisite qualifications. In order for you to successfully complete this course, it is recommended that you have strong literacy and numeracy skills. Students may wish to undertake the completion of the Certificate IV in Leadership and Management (BSB42015) qualification prior to completing this course. It is expected that students will spend 1300 hours in learning and related activities if completing on a full-time basis over 12 months. Study online at your own pace, giving you the flexibility to achieve a nationally recognised qualification whilst also fulfilling your other life commitments. Unlimited e-mail and phone support is provided by our experienced student support team between Monday to Friday, 9am – 5pm, so you’re never left to feel 'lost' or stuck during your studies. Students considering further studies after completing the Diploma of Leadership and Management qualification have the option of gaining a direct pathway into higher education. Visit https://mentor.edu.au/career-pathway for further information.